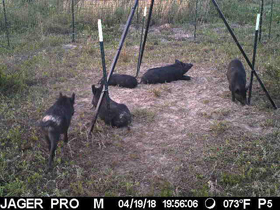 We built the trap and three hours later had hogs in the trap. 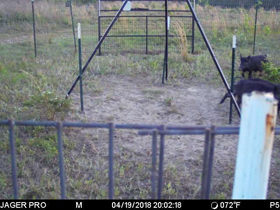 Tom had his first capture 4 hours after building the enclosure. 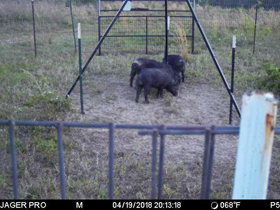 "When pigs are well trained on a bait station/feeder, then the trap is erected, sometimes it's only a matter of hours before they enter the trap. This guy did it right and worked the plan." To purchase your JAGER M.I.N.E. 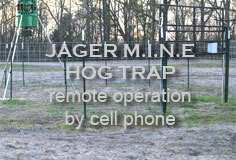 HOG CONTROL SYSTEM contact us @ 706-570-5753. 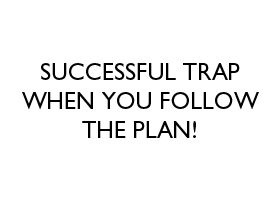 You may want to consider one of our Hog Trap Package Deals that are available.